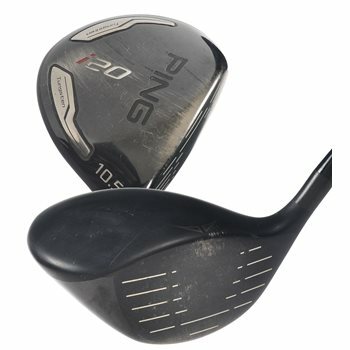 The Ping i20 driver has an aerodynamic 460cc head is an especially good fit for golfers who rely on a low-spin, penetrating trajectory to maximize distance, accuracy, and workability. Two dense tungsten sole weights in the Ti 8-1-1 head elevate the MOI for forgiveness across the clubface, and they position the CG for optimal launch conditions. Golfers with moderate swing speeds can also improve their launch conditions for greater distance and accuracy. A lower MOI about the shaft axis gives the golfer complete command of the face at impact for shaping shots. The i20s’ striking matte-black finish absorbs light to eliminate glare and reflections.